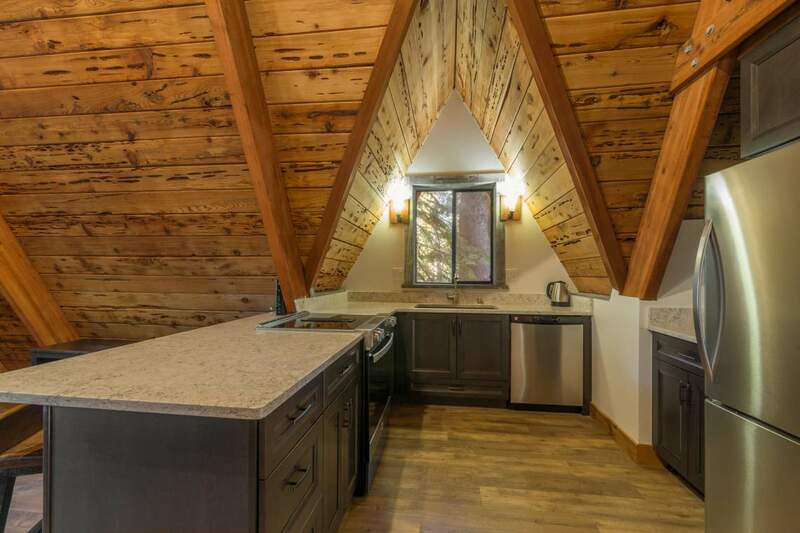 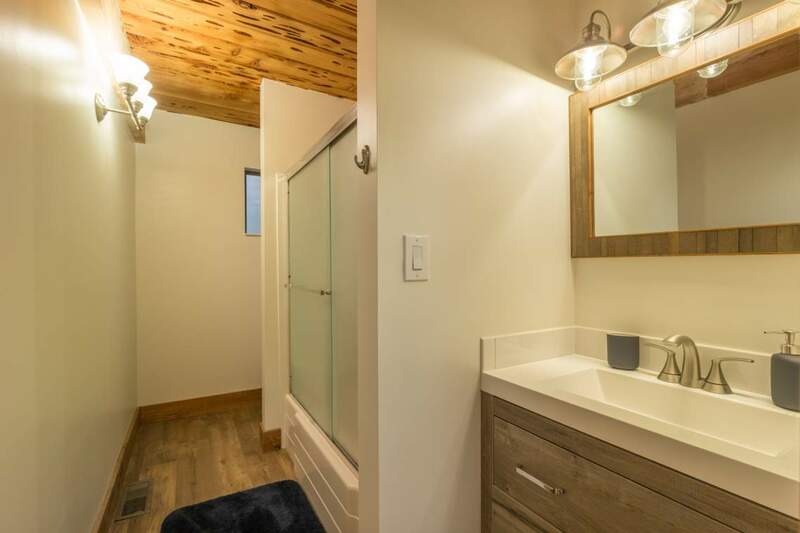 When you walk into this recently remodeled cabin, you can feel the love that has been put into it radiating from the walls. 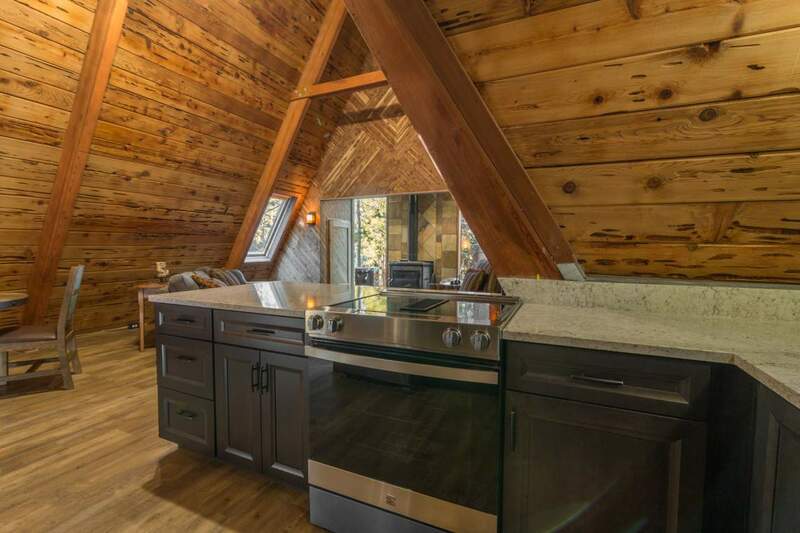 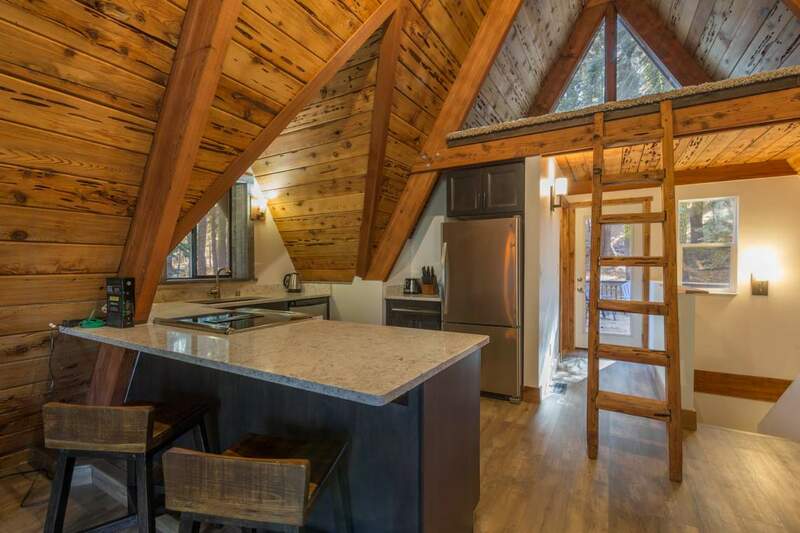 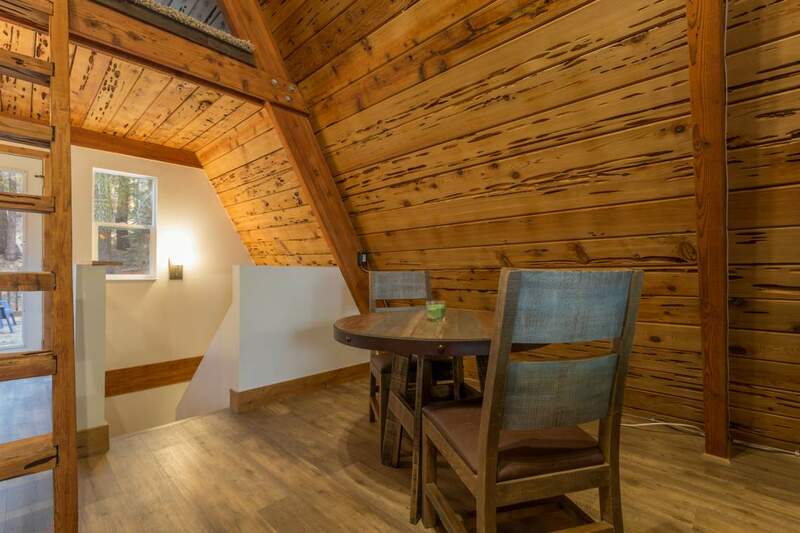 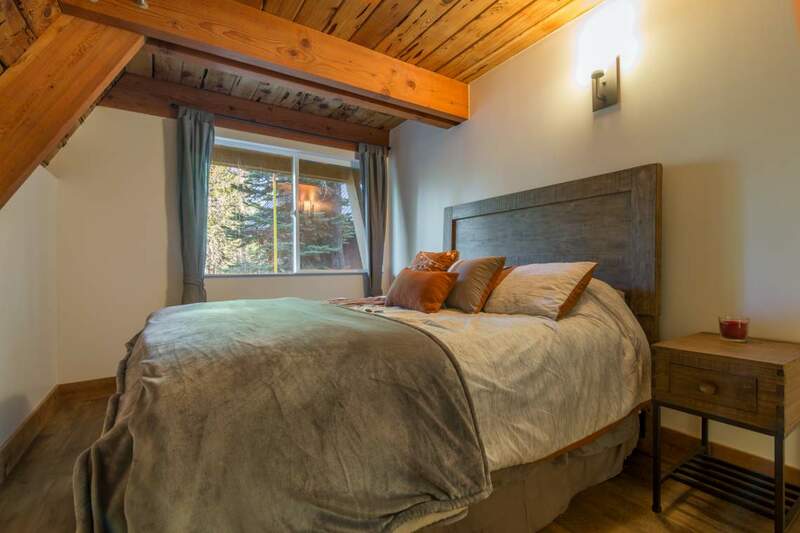 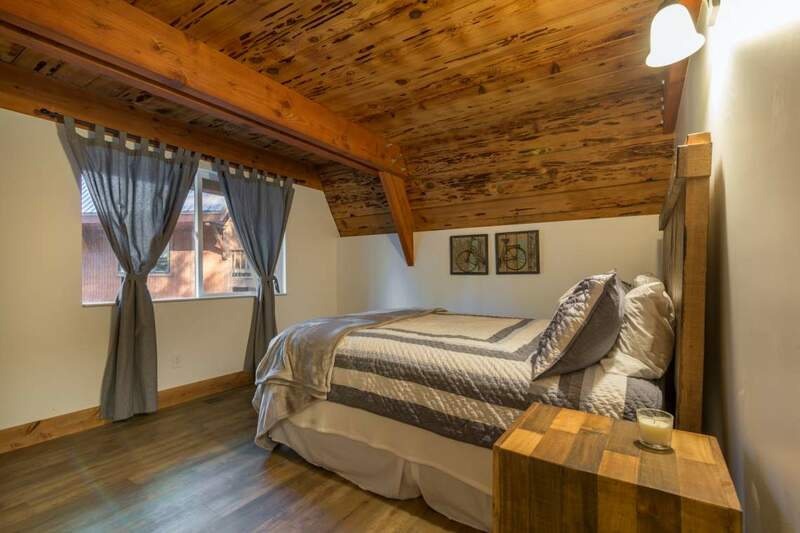 Rustic wooden ceilings create a warm and welcoming air throughout the entire cabin. 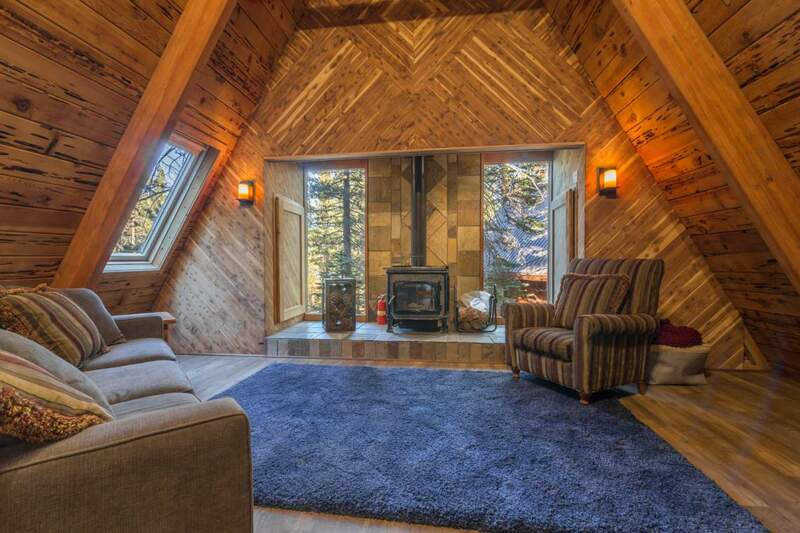 The living room has a classic mountain a-frame feel which is beautifully accompanied by endless forest right out the back door. 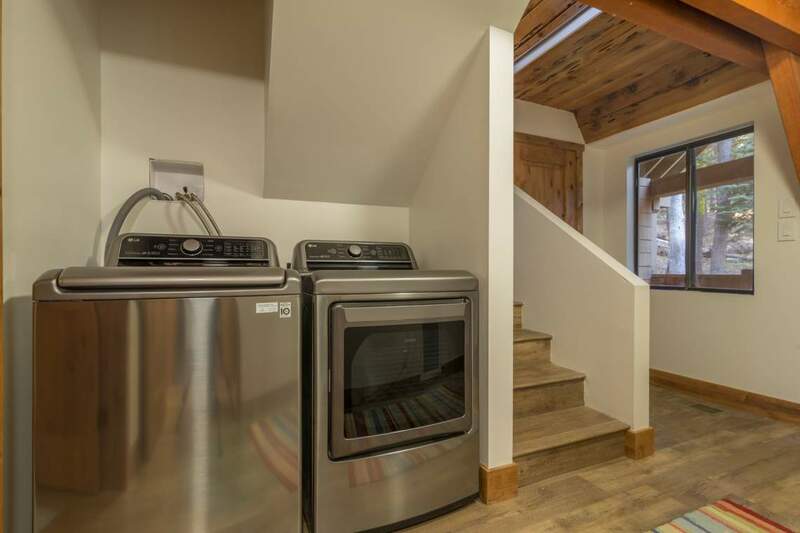 Located at the back of a quiet cul-de-sac with three bedrooms, there is plenty of room for the whole family to relax after a long day. 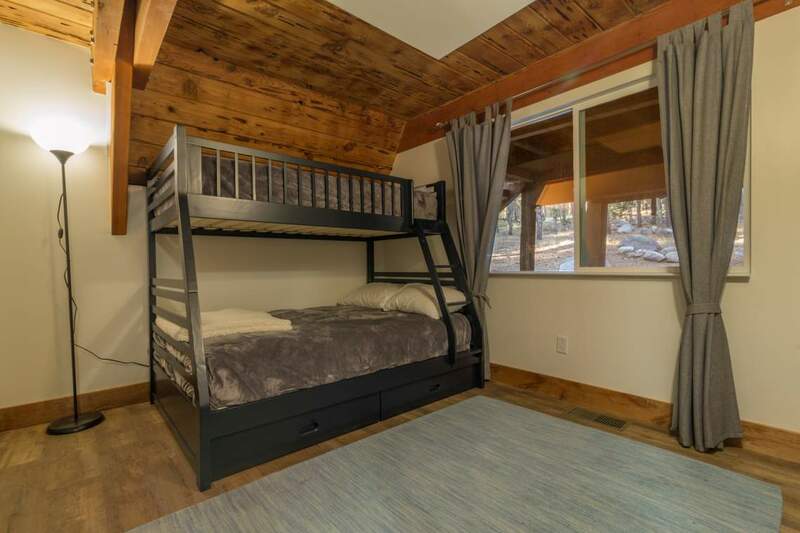 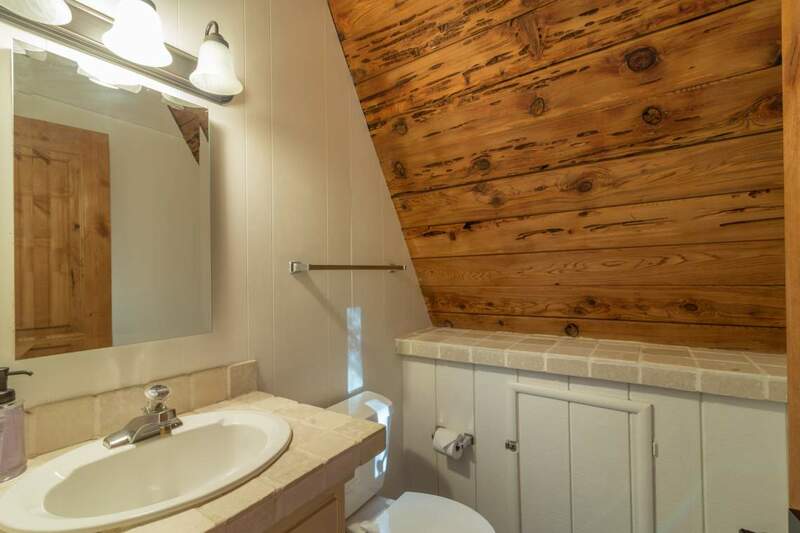 When you enter the cabin, you walk into a nice arrangement of two bedrooms with queens, one bedroom with a double/twin bunk, a full remodeled bathroom with a tub, and a high-efficiency washer/dryer unit. 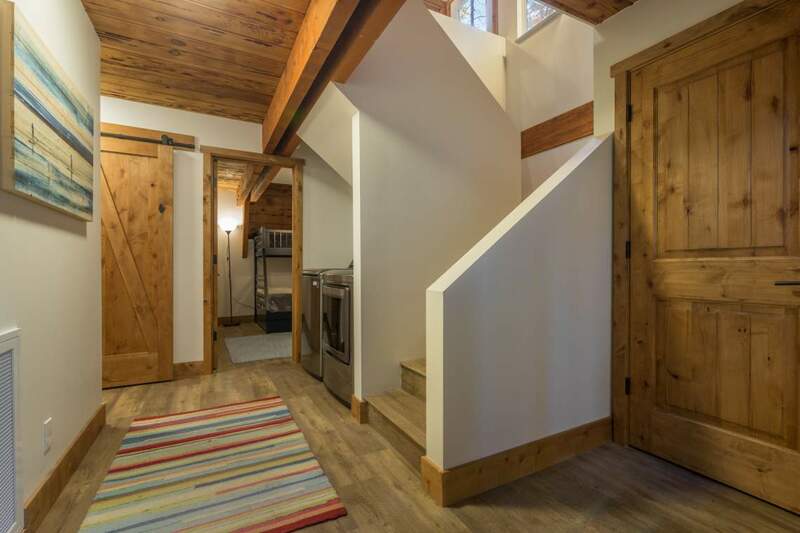 Up the stairs, you come into a gorgeous open-concept living area, also with a cute half bathroom and a door leading out to a large back deck. 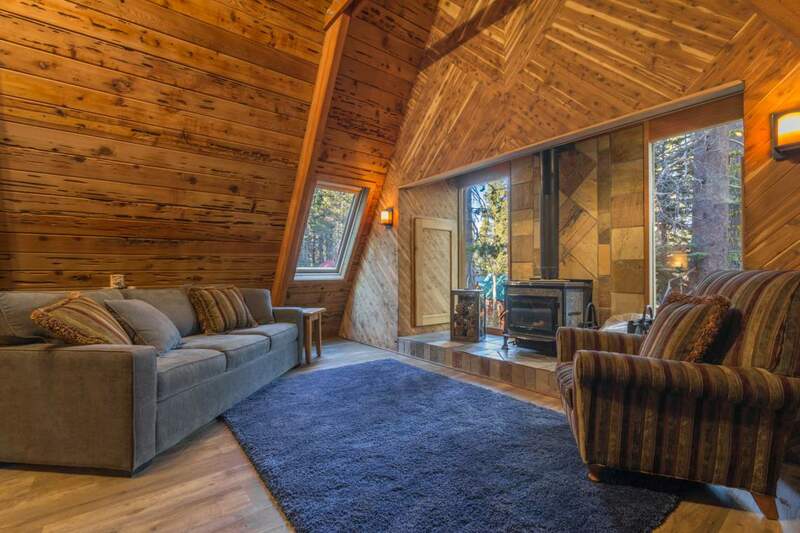 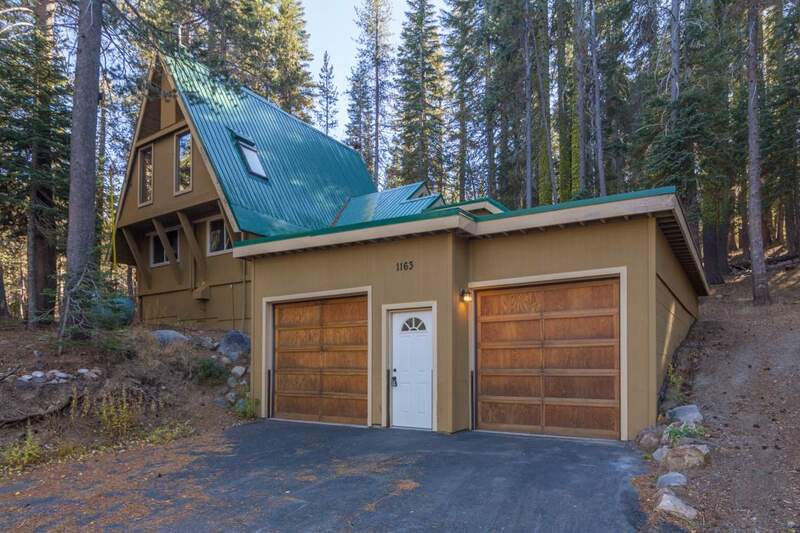 This home will meet and surpass all your mountain getaway hopes and needs.